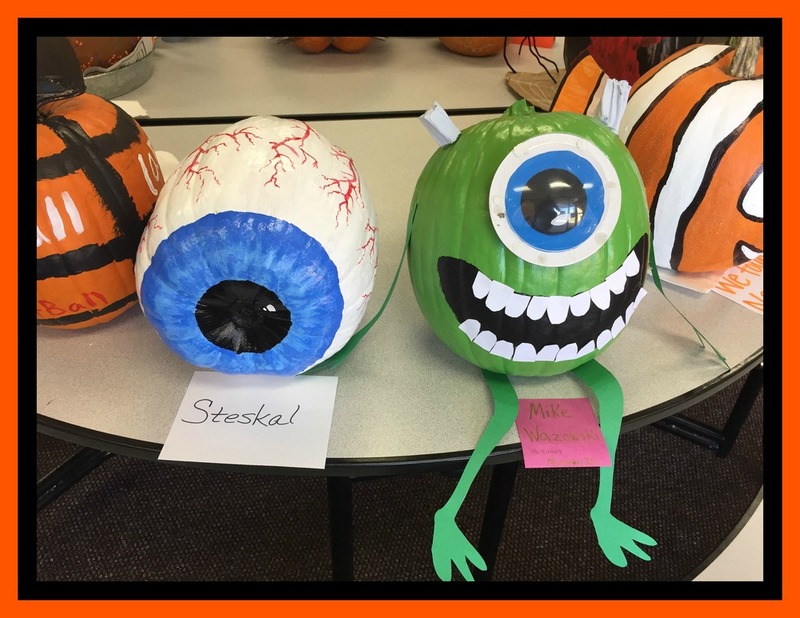 Valentine Middle School had a tie for 1st place today in the 2018 VMS Badger Pause Pumpkin Decorating Contest: Winners are Mrs. Tinant’s Badger Pause with their Monster’s Inc. Mike Wazowski and Mrs. Steskal’s Badger Pause with their giant bloody eyeball! Great job by everyone this year, we had a lot of fantastic pumpkins that you put a lot of work and effort into, you should all be very proud. Big thank you to the Valentine PTA and the Lurz Pumpkin Patch. We wish everyone a safe and happy Halloween! 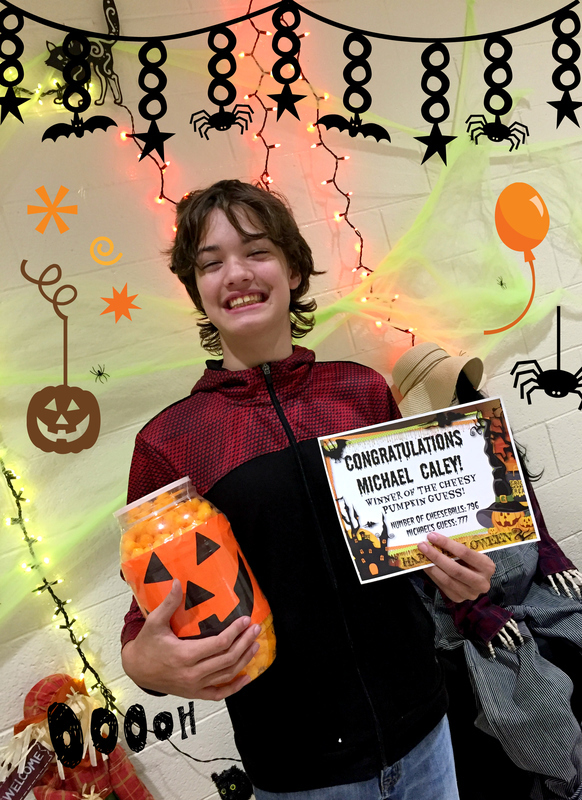 Winner of VMS's Cheesy Pumpkin guessing contest was Michael! There were 796 cheeseballs in our pumpkin and Michael's guess was 777. Great job Michael and enjoy those cheeseballs!! !